Please be aware that all fees required to obtain a passport must be made on the day of the event. Payments for the passport book or card must be payable to U.S. Department of State. 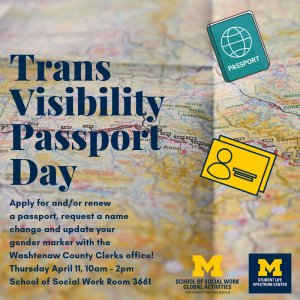 Payments for the processing fee must be payable to Washtenaw County Clerk. All payments MUST be a check or a money order. Counter checks are not allowed. 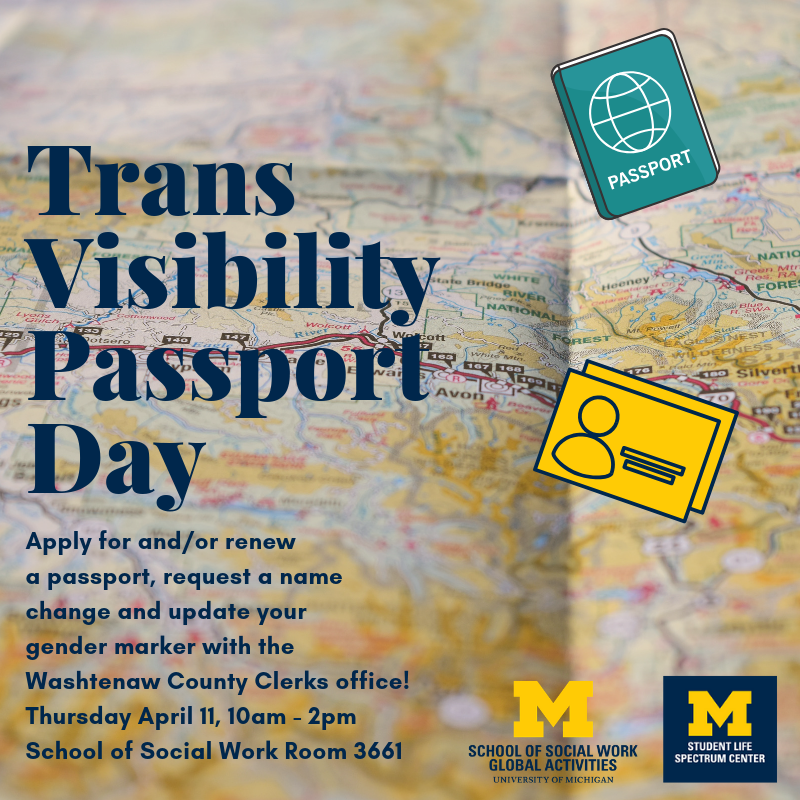 Financial support may be available for students applying for a passport who are requesting name or gender maker change. Please send a message to ssw.oga@umich.edu to request more information. Please RSVP by April 5th!